Occasionally I’ll imagine being in corporate life again. It’s usually a fleeting thought, for I quickly switch back to counting present blessings, but it does reoccur, and to be completely truthful, I always imagine being in charge! My wish to take over normally arises when I’m getting frustrated by certain bad work habits I see in the workplaces I visit; simple fixes not taken, and often because no one realizes those habits are so insidious — left unchecked, they can snowball into a dysfunctional work culture. So I try to be empathetic instead, and I coach more, and gently. I suggest testing the new tools I’ve learned to use since I left that work world, for they’ve been working so wonderfully within our OIB (‘Ohana in Business) work cultures of Managing with Aloha. Most of the best tools have nothing to do with tweaking new technologies, and they return us to simpler practices. They’re really about the disruption of previous habits. One of those tools, learned in the very early days of my starting Say Leadership Coaching, helped me enormously in keeping focused on the right things at the right time, for I built my business at the same time I was writing MWA and figuring out how to get it published as a first-time author. The ‘tool’ was paper and pencil, and learning the simple discipline of keeping track of any and all interruptions on a scratchpad I kept at hand while I was supposed to be working. 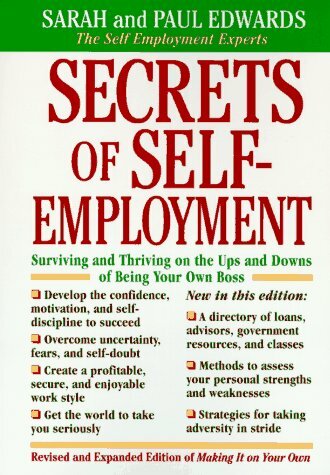 SIDEBAR: Credit for the Interruption List goes to Paul and Sarah Edwards, for I discovered their working at home bible, Secrets of Self-Employment; Surviving and thriving on the Ups and Downs of Being Your Own Boss, while trolling the shelves at Borders Bookstore one day. It was one of the first books I’d ever bought to retrain myself with a newer, more entrepreneurial mindset, and it illuminated all the bad habits and traps you can easily fall into while working from home. The distractions which cause us to stall and procrastinate occur everywhere of course, whether we work in the office, at home, or remotely: What we need to fix, is the shakey hold we have on our own attention. I was amazed at how long my list could be when the day was over — long, embarrassing, and just plain dumb! My Interruption List delivered two kinds of aha! magic: It illuminated bad habits which previously were invisible, and it helped me create far better ones. Instead of getting up for a drink of water a zillion times, I began to keep an insulated bottle of iced water at my desk. I turned off my email alert bell, and when that still didn’t work for me I turned off my web access altogether. My Interruption List has consistently delivered as my work variables changed: I still use it. When I’m working with new people, I log down their questions every time they knock on my door (or ping me on my ‘virtual office hour’ chat), and I’m able to discern why recurring queries continually come up (which are different from good questions). I catch on to why certain interruptions are actually red flags, like when I was the one who forgot to pass on critical information! I stop adding complexity, in favor of replacing. There are times the stark emptiness of my list is telling too: Time flew by, because I was in the zone, and work was amazing that day! I’ll ask myself why, and if it was a strength on fire, for if so, it’s a time framing I want to duplicate more often, setting myself up for more frequent successes. Interruption used to be a negative word in my vocabulary, but not anymore: It asks, signal or noise? It might still be the noise of process newness of some kind, but when you track it, and evaluate it, distracting interruption becomes a signal you interpret, and then act on. You intercept bad habits, and cut them off at the pass. You disrupt your automatic pilot, wake up some sacred cows and put them out to pasture. Try turning your negatives with these words into positives: Distract, Interrupt, Intercept, Disrupt. All it takes is paper and pencil at first, but wow, the signals can wake up your focus and productivity in an amazing way. Did you catch this on Ho‘ohana Aloha? Breakthrough-your-business Word for the Day: Disrupt. Here is a personal goal I ask you to think about adopting in 2010 with me, as part of your Ho”›ohana [intention for worthwhile work], especially if you are in that “assumed leadership” strata on your company org chart: Reduce your leadership to a part-time gig. Share it. Leadership is not something anyone need do by themselves. In fact, they probably shouldn’t. Return to the deliberate work ethic of a better-defined management style. Manage more than you lead, and in the process, accomplish them both. Accomplish them better. Back in July, I posted an article about The 30-70 Rule in Leading and Managing, and reviewing it can help you think about this in both a practical and intentional way. Besides the productivity slant of it, the article covers the intentions we bring to leading (and creating workplace energies) and managing (to channel those newly available energies). I am thinking of this again because I am working on penning the strategic initiatives I will bring to my own businesses in 2010, and I am realizing just how much that 30-70 Rule will help me make my chosen initiatives happen. I have my leadership ideas creating the energy I want and the energy I need, and I am quite excited about them, yet I realize that I truly do not need to be stirring the pot any more than that. I want the Ka lā hiki ola energy within the “dawning of a new day” and not the wind-whipping tempest of a hurricane. There is a lot within my 30 —it is an ambitious, robust 30. Therefore, I will need the other 70 —my 70% management intentions within my Strong Week Planning— to make those leadership ideas happen: To get them to come true by the time this yearend season rolls around again twelve months from now. 1. People: Managers concentrate on strengths and make weaknesses irrelevant. Managers discover what strengths each of the people they manage possess. They then place people where they are called on to employ those strengths and capitalize on them, giving them the authority to completely own their responsibilities and perform brilliantly. 2. Place: Managers create great workplaces where people thrive. Managers focus on creating an environment where rewarding work happens. They continually work to remove obstacles (such as negativity), barriers, and excuses, while adding the needed support, tools and resources. Great managers are the stewards of healthy organizational cultures. 3. Mission: Managers get the work to make perfect sense. Managers connect the work to be done with the meaning why. They plan to succeed with a viable business model, so people always see realistic possibility, and they encourage people to work on the enterprise with them, not just within it. 4. Vision: Managers expect and promote the exceptional. Great managers never settle for mediocrity; they champion excellence so people rise to the occasion. Managers lead too; they mentor and coach, harnessing energy and driving action. They foster sequential and consequential learning so people continue to grow. I am not saying to stop leading, not at all. I am saying to put leadership in better perspective as another thing that great managers do, and do well. Do it better than most self-proclaimed leaders do. Think about the definition we have been using, where simply said, management is about channeling available energies into optimal productivity, a productivity aimed at whatever mission or vision (or strategic objectives) we have set our sights on. If only we had more of that! People continue to write books about leadership, touting “more leadership” as what we desperately need. I admit that I have been thinking that way too, but 2009 and the challenges we still face have illustrated something to me: What is working best for those in the success stories we see unfolding, is a return to more management concentration, but in that reinvention that management still needs to achieve. You can expect that is where my attentions will now be as I continue to share my writing with you. I will still keep my posting loosely organized here as “Tuesdays for leading” and “Thursdays from managing” because it is easier for us to remember as one of our connections and two days touchpoints. However they are just blog posts: the real work to be done is in our daily practice every day of the week, isn’t it. Could Ho”›ohana and Ka lā hiki ola be value-drivers for you? Where is your thinking on what 2010 can achieve for you? Alaka‘i ABCs: What do you stand for?